GBPUSD is moving within ascending impulse. 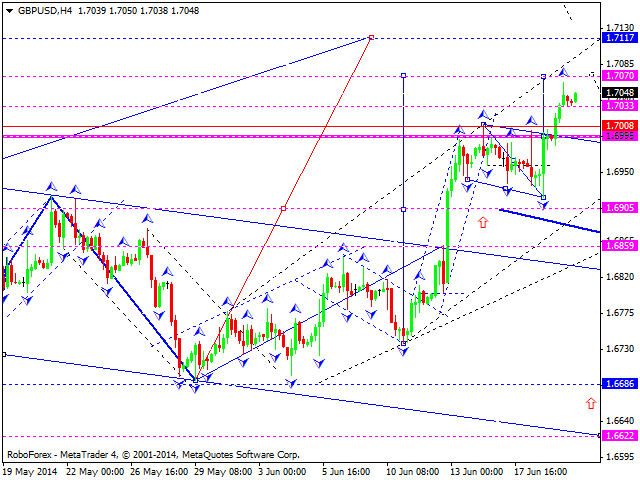 For today I expect that price will achieve 1.7070 or higher. Then correction to 1.7000 will be possible. In case it happens, growth will be possible with 1.7115 as a target. In case everything of described above happens, I expect bullish structure to be completed and bearish correction to be initiated. USDCHF is probably developing inside bearish structure. For today I expect achieving target of 0.8890 or lower. After that consolidation with further bearish structure is expected. 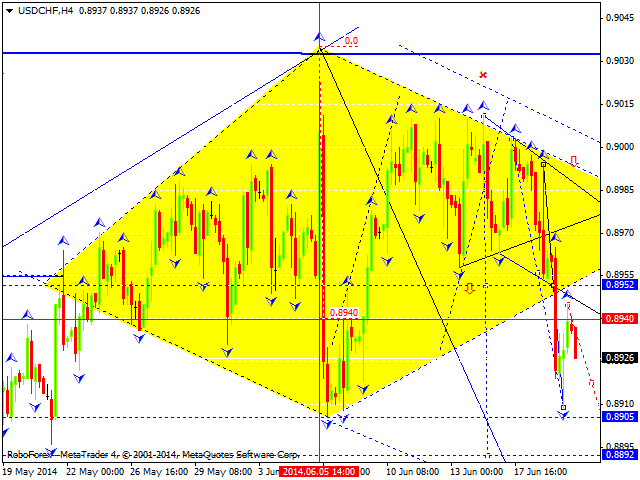 Target of his wave is considered to be at 0.8780. USDJPY had broken out correctional channel and probably continues to move inside bearish structure. For today, I assume that 101.00 level can be achieved. After that 101.70 can be tested from below. 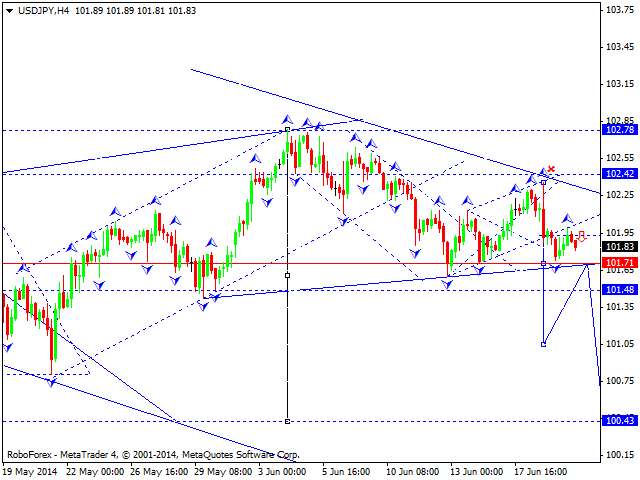 In case everything of described above happens, I will expect bearish structure development with 100.50 as a target. 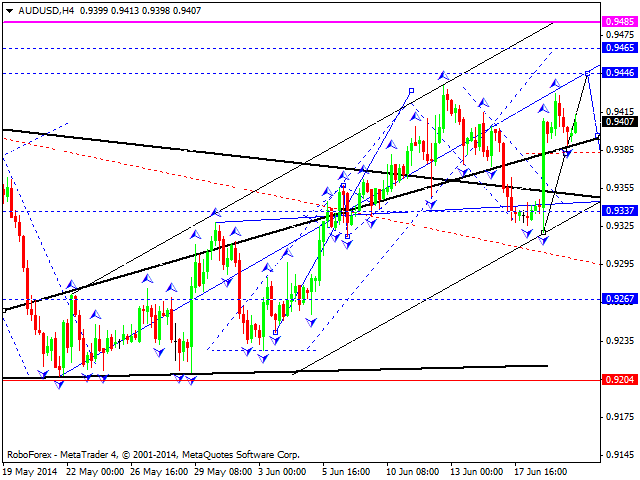 AUDUSD continues to move within bullish structure with 0.9460 as a target. If this target will be achieved, I will expect correctional move to 0.9270 level. In case it happens, new bullish wave will be possible with 0.9480 as a target. Downtrend can be resumed after that. Russian rouble has broken out triangle to the downside and tested breakout line from below. 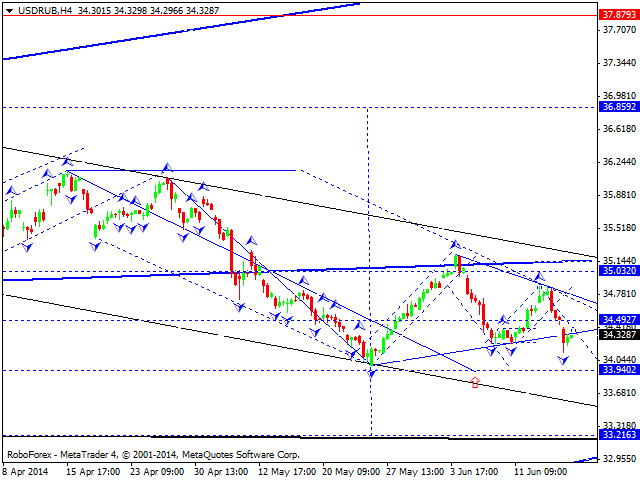 For today I expect that downtrend is to be continued with possible target of 33.94. In case it happens, I will expect development of 4th correctional wave with target of 35.00. 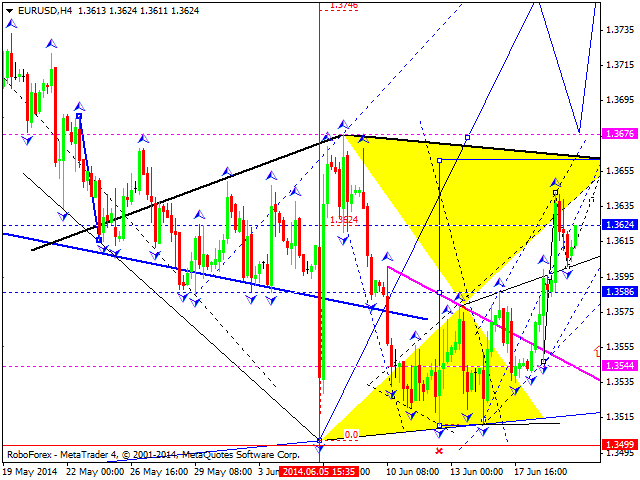 Later I will expect declining wave with 33.20 as a target. 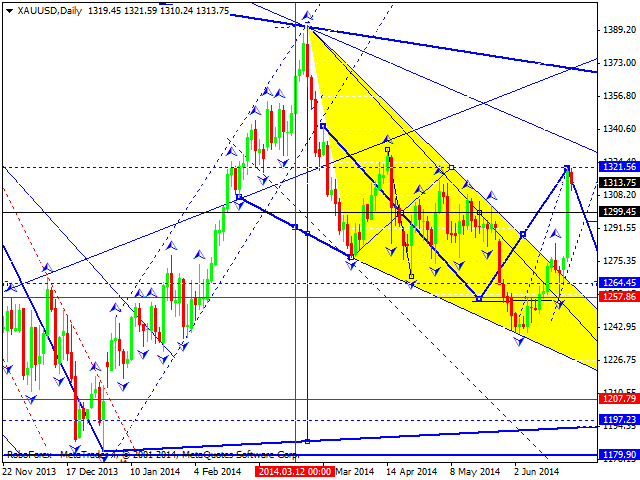 XAUUSD (Gold) is continuing to develop within ascending impulse with elongation of 4th wave. For today I assume that ascending channel can be broken out with further development of declining wave with possible target of 1208. The whole structure looks like bullish pennant formation. Potential of this structure can be realized only after another declining wave.